What makes one manager more successful than another? In a nutshell: the desire to keep learning and developing people skills. Even the most accomplished professional can continue to learn at every phase of his or her career. With Manager Skills Training you can become a catalyst for managerial growth in your organization. 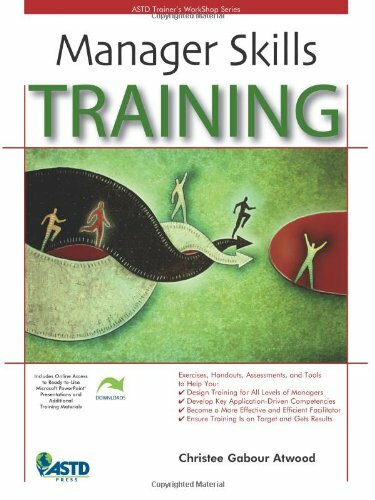 Whether you're a seasoned workshop facilitator or a novice instructor, this workbook gives you the tools you need to develop high-impact programs and addresses a wide range of needs, from those of future managers preparing for their new roles to those of experienced leaders who want to improve their skills. And because the framework for a meaningful training experience is already prepared for you, you'll have more time to customize your workshop to fit your organization's needs, your audience, and your own presentation style.